I advocate for & create data-informed designs, taking a collaborative approach to align business goals, research, strategy, and development. Graduate of University of Washington’s MHCI+D. Let’s Dish is a cooking-themed mobile video game with a match-3 game mechanic. Think Candy Crush, but with gourmet food! QÜBE is a news delivery device that trains you to go beyond the headline and get in the habit of checking for news sources. Swift Spin is an stress-free laundromat experience with high-tech machines, considerate laundry notifications, and an attached cafe. 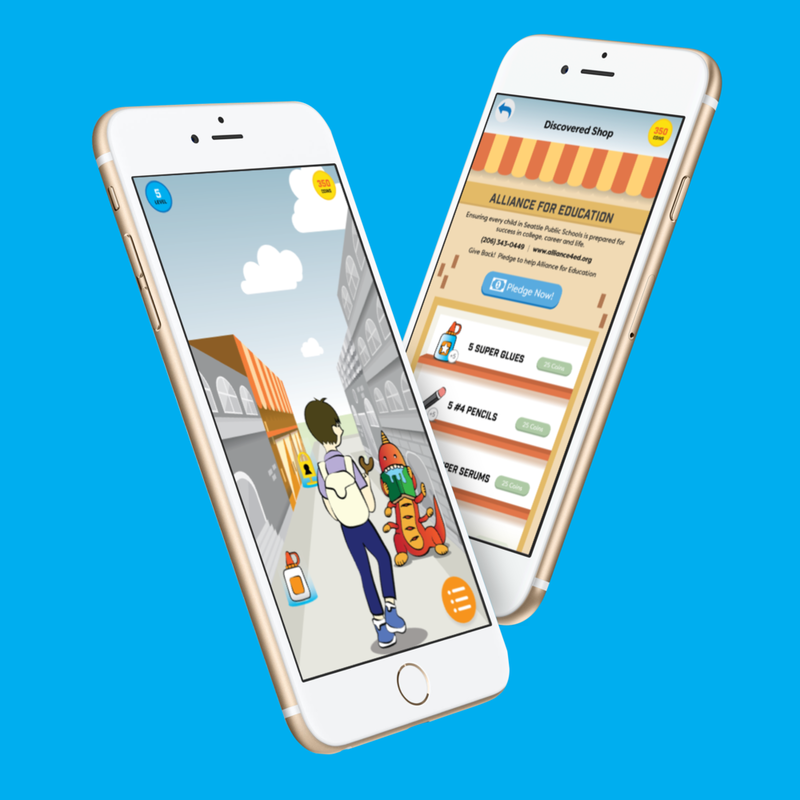 Good Aim is an augmented reality mobile game that helps students learn about local community needs and responsibly donate to charities.